The bowl was in the dishwasher at work and I recognized it instantly. That rim of earthy green flowers decorating the edge of a crisp white Pyrex bowl. My grandmother had a set of the very same dishes in her house in Karachi and they would sometimes make an appearance at chai time. Was it a sign from god? Maybe. Maybe not. But it was something. See, my grandmother passed away last week. Mumma lived a long, full, and happy life. She traveled the world and had a large circle of beautiful and warm friends. She lived to see her children, grandchildren, and great grandchildren build beautiful families and lives of their own. Hands down, Mumma was easily the most gracious and loved person I knew. And yet, when my mother called to tell me of her passing, I had a very removed reaction. It had been many years since I'd seen Mumma. Over the last few years, her hearing started fading and phone calls became too taxing because I would essentially have a conversation with her nurse who would yell my statements to my grandmother and then relay my grandmother's response back. Sometimes, the nurse forgot that she didn't need to yell the response back to me so the entire phone call became a very loud, almost ironic game of Telephone. Thereafter, her memory became foggy and she could never quite remember which grandchild I was. Eventually, the nurse was forced to admit my grandmother had no idea who I was and why I was calling. And so, I stopped calling. And yet, seeing that bowl in the dishwasher jolted me. It forced me to remember my grandmother as she once was, all stately and elegant, with the most graceful presence I have ever encountered. I grinned thinking of how she commanded order in our loud, boisterous, and ever argumentative family. I thought of the gold bracelet from her trousseau that she passed to me when I got married because as she said, "Every woman needs beautiful jewelry." And I smiled at my pear-shaped reflection in the mirror because although the figure was both a blessing and a curse (but mostly a curse), she was ever the egalitarian and passed her figure down to all the women in my family. And for that afternoon (and many to follow), I was the crazy person crying behind her closed office door. Crying and remembering. You see, my Mumma was the epitome of style. And I'm not talking about the blue haired, flowered housecoat variety of style. No, she had more of a Maggie Smith in Downton Abbey style, what with her deep love of fine jewelry and designer shoes. Oh, and her perfume. Mumma's entire house smelled like her favorite perfume, Nina Ricci's L'Air du Temps. At a time when foreign perfumes were quite rare in Pakistan, Mumma had no qualms telling a friend or family member traveling abroad to bring back her precious Nina Ricci. Two bottles. When I was a kid, I would quickly get ready and rush to her vanity so she could squirt my wrists with her perfume every time we went out. To this day, that heady floral scent transports me back to those humid Pakistani summers. And gosh did she love fancy handbags. The woman was nonchalantly carrying Louis Vuitton long before the company stooped to making dog carriers and knockoffs became commonplace. Best of all, my grandmother loved food. Everything from the humble bun kebab grilled by the streetside vendor to the fancy Chicken Kiev served on sparkling china at the fanciest restaurant in Karachi. Most surprisingly, my grandmother loved cheese. Loved it. And that's rare for an older Pakistani woman who really hasn't been exposed to cheese. Heck, to this day, the majority of my family in Pakistan thinks the best cheese is on Pizza Hut pizza. But oh how my Mumma loved cheese. Spicy pepper jack, creamy mozzarella, crackly parmesan and my personal favorite, sharp cheddar. And I wouldn't be doing Mumma's legacy justice if I didn't admit that amidst the many great cheeses we devoured with crackers, she and I indulged in more than our fair share of blue box Kraft mac n' cheese. And so, to honor her memory, I made a giant pot of mac n' cheese last weekend. I ate it quietly, staring out in the backyard and remembering her twinkling eyes, her laugh which erupted without warning, and her hugs which she doled out to friends and foes alike. And though there wasn't a blue box in sight, I think Mumma would have approved of this mac n' cheese. When someone mentioned heaven, my grandmother always cackled, "If only someone went up and came back to tell us if it was worth it." I know you won't come back Mumma, but I know for certain you're up there, eating cheese and having a grand ol' time. Boil water and cook pasta in heavily salted water until pasta is al dente. While pasta is boiling, in a separate pot, melt 3 tablespoons. butter and 1 tablespoon oil oil. Gradually add in flour, whisking constantly, and cook until flour becomes golden brown and smells nutty. Add the milk, continuing to whisk constantly. The butter-flour-milk mixture should have the consistency of thick cream. If it's too thin, continue cooking until it thickens. 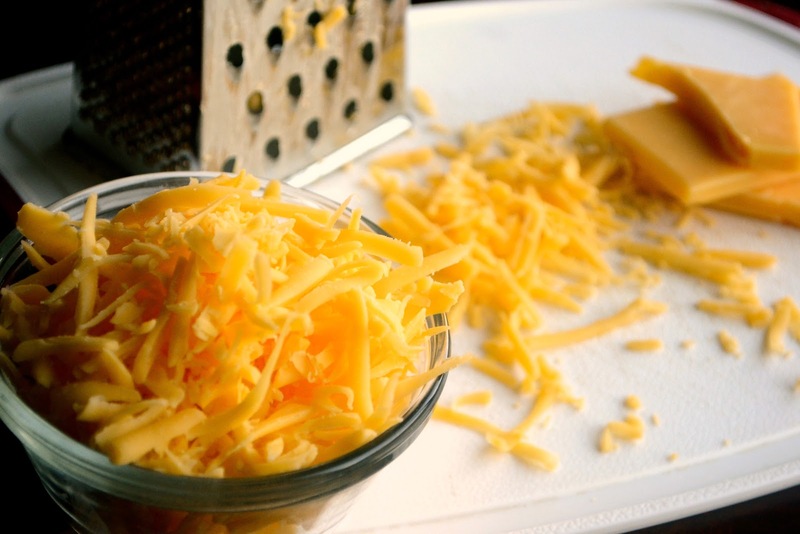 Once the mixture has thickened, add the cheese and stir until melted. Season with salt and pepper. Drain pasta and add to the cheese mixture and mix completely. In a separate pan, melt 1/2 tablespoon butter. Add garlic and cook until fragrant (don't walk away to answer the phone, check Twitter, or see what the Real Housewives are up to because the garlic will burn). Add the breadcrumbs to the delicious garlic butter and mix completely. Cook on low heat until breadcrumbs are toasted and fragrant. Plate mac n' cheese. Top with toasted garlic breadcrumbs and chopped fresh herbs. Azmina, I'm so sorry about your Mumma. She sounds like a wonderful woman, the type all of us are better for knowing. I know how hard it is watching our loved ones go downhill. You honored her memory here. I'm sure the bowl was a sign and a reminder from her, she will always be with you. If there is anything I can do for you, please let me know. What a beautiful post Azmina and you've done Mumma proud. She sounds like quite the Grande Dame and larger than life. So precious to be part of her life and I know we're all going to remember our Mumma's as they were. Hugs to you and I'm sorry you're having to go through this painful period. Beautiful post, Azmina. So sorry for your loss. Azmina, your memories are so wonderful and vivid! Just today at work we were all remembering the cooking traditions that our grandmothers gifted to us. And then I see you post...so poignant. Hold those memories close! I'm sorry to hear about your grandmother's death. This was a lovely tribute to her. You obviously have many fond memories. I'm so sorry to hear about your Mumma's death. It sounds like she was a fun and beautiful person. :) I'm 100% positive that she's smiling down on you and your entire family, while eating a few good pieces of cheese! This looks like some real heavenly comfort food, pinning this recipe NOW! I'm so sorry to hear about your grandmother :( This was a beautifully written post. And this mac and cheese really does look heavenly! I am sorry for your loss, but really enjoyed getting to know your Mumma through this post. Hugs to you. I am so sorry for your loss.. I'm really sorry to hear about your grandmother. What a sweet tribute to her...I do believe that the dish was more than a coincidence! She sounds like a stylish and classy lady. The Mac n Cheese looks delicious my friend. Oh Azmina! I am sending hugs and warm thoughts your way. Thank you for sharing your Mumma with us - I would have liked to hug her too - you describe her so well, and so lovingly. I can only hope you find comfort in those memories, from L'Air du Temps to delicious cheeses. She surely would have loved this dish. You write so beautifully! I felt I already knew your grandmother just by reading about her. Sorry for your loss and hope memories will always inspire you and remind you of all that she had to offer. Love the mac and cheese! Lots of prayers and hugs your way but the way you described your grandmother- she was full of charm and personality still watching you guys from up there. What a nice way to embrace her memories and cherish the influence she had on you through mac and cheese, such a lovely comforting dish. Take care. So sorry Azmina. I am very close to my grandmother- my Ammuma so I can imagine how you are feeling. So nice to read about your Mumma. She sounds wonderful! So sorry to hear about your loss. May she be placed in the best of the best heaven. The mac and cheese looks very comforting. Such nice memories, and a life well lived. It reminds me a lot of my grandmother. It´s touching how you write about her, and she´ll stay with you through your cooking and sharing. What a lovely tribute to your grandma. It is amazing how food connects us to our loved ones and their memories. What a lovely post, dear friend. I just lost my grandma over the weekend, and this was so very touching to read. Mumma's mac and cheese looks heavenly, and I know she was a very special and dear woman. Thank you for sharing! The Mac and Cheese is perfect comfort food to chase away the blues, or better yet, to wallow in. Coz I find wallowing sometimes helps! Keep writing Azmina.. love these little slices of life you share with all your readers as much as I love ur recipes! My condolences on the passing of your grandmother. Such a beautiful post to commemorate her life and memories of her. Some items/smell bring back memories. And in a way it is good, as it brings us back to reality. Sorry for the loss of your grandmother. She seemed like a pretty amazing woman and it's so great that you have these wonderful memories to remember her by. p.s. 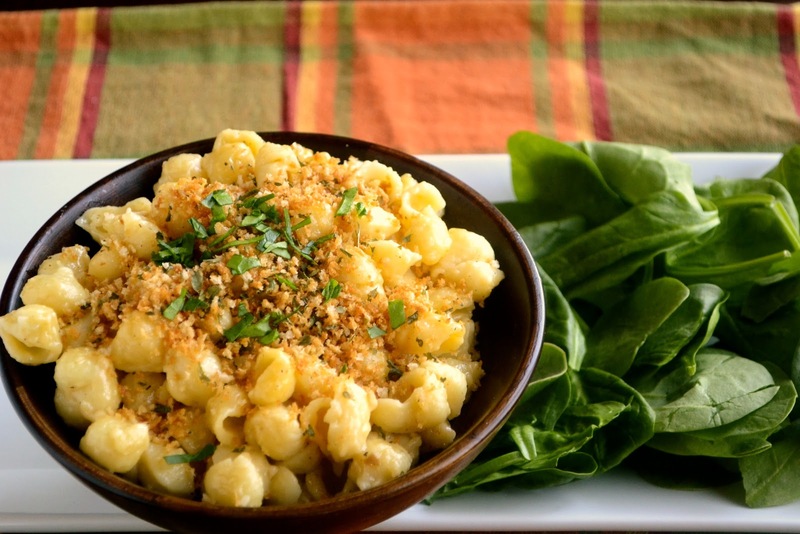 Mac n Cheese recipe looks good!